French President Nicolas Sarkozy, British Prime Minister David Cameron, and US President Barack Obama are publishing a joint op-ed in three newspapers on Friday in which they make it clear that the UN allies will not permit Muammar Qaddafi to remain in power, after what he has done to his people. Muammar Qaddafi’s forces on Thursday launched an intense, hours-long bombardment of Tripoli Street in Misrata, killing some 20 persons. 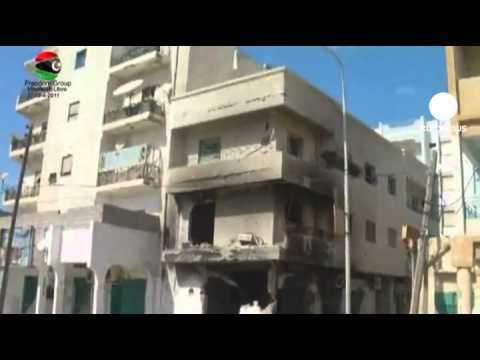 On Aljazeera Arabic, Misrata residents were interviewed about the attack, and they maintained that the bombardment was indiscriminate and that women and children are among the dead. Some eyewitnesses spoke of victims being killed while they were sleeping in their beds. The USG Open Source Center translates a radio broadcast from the ‘Voice of Free Libya’ in which civilian crowds are urged to come out on Friday in Tripoli. We also announce our total support for the Interim National Council (INC), the sole representative of the Libyan people, and call for intensifying air strikes on Al-Qadhafi’s brigades until the tyrant and his aides flee. We also announce to the Arab and Islamic world and to the international community that we in Tripoli do not have weapons and that our protests tomorrow will be peaceful.